In a modern CAD environment, procedures for organizing and preserving your company's data sets are more important than ever. Back in the early days of personal computers and networks, it became obvious that letting users store CAD files wherever they wanted to — with no rules or procedures — resulted in chaos. Users saved over others' work, revisions were lost, files were inadvertently deleted — you name it and it happened. As a result, it became clear that a data management strategy would be required, and very soon a plethora of computer tools became available to manage CAD files. Fast-forward to today, and we find ourselves in an environment where CAD files can be on computers, phones, cloud servers, tablets, etc., yet data management is left largely to chance. In this edition of the CAD Manager's Newsletter, we'll explore some strategies that will allow you to better secure your data based on the new infrastructures we all have to support in our CAD environments. Along the way, I'll also make some recommendations for action items you can use with your IT and senior management to help them understand why data management for CAD is something the CAD manager should be involved in. Here goes. • A great deal of new and revised CAD and building information modeling (BIM) data is produced each year. • Data sets are more complex than just CAD files, which means you'll manage more editing and viewing tools than ever. • All that data won't manage itself. 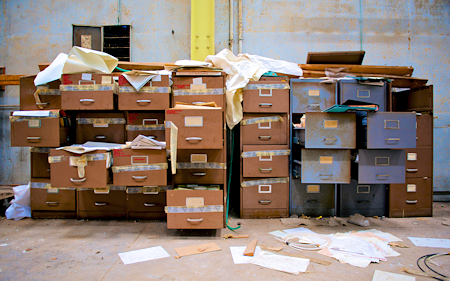 • The longer you put off good data management practices, the worse the mess becomes. Of course, the data you manage is mission-critical, and losing all that data would mean massive amounts of rework and financial loss, right? Simply put, if you don't have a data management strategy in today's digital CAD environment, your company has a serious data loss liability. As a CAD manager, it may not be in your job description to create a data management strategy, but doesn't it seem reasonable to spend some time thinking about it? Selected sessions from Autodesk University 2018, being held through November 15 in Las Vegas, Nevada, are available via livestream and on-demand recordings. The sessions are free to any interested parties, whether or not they are registered attendees of Autodesk University. AutoCAD Video Tips: Take Control of Your AutoCAD Options!